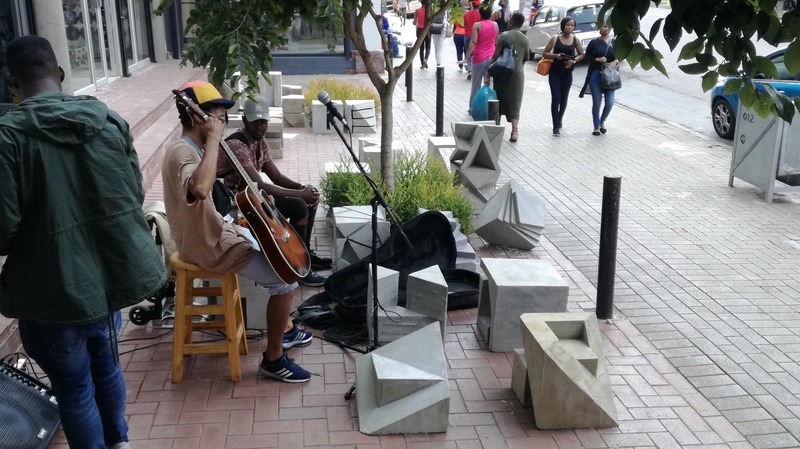 The experience of producing a full-scale object used by citizens was a valuable one. 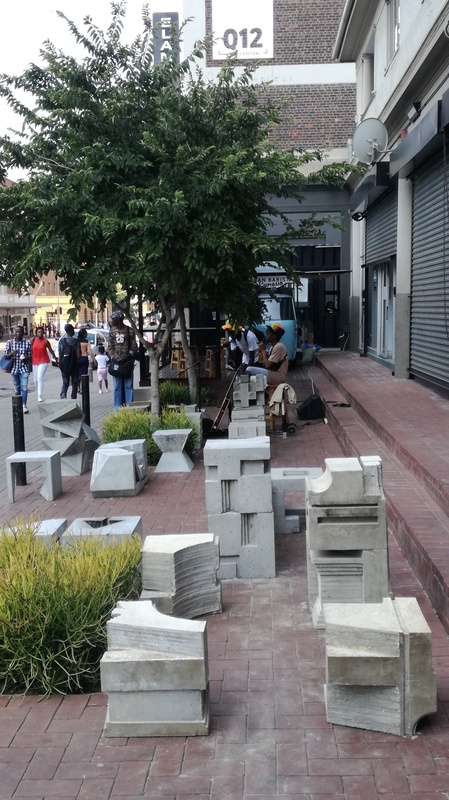 A smaller modular unit was established in the form of a 400mm cube that acts as a seat. 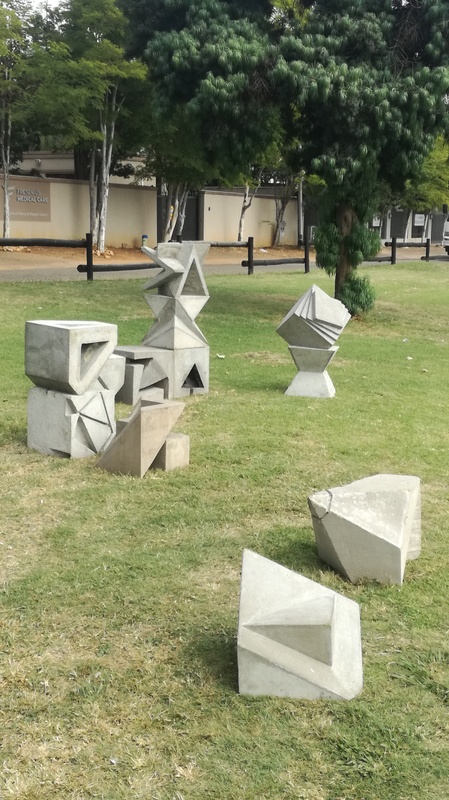 It should be cheap and light enough for each individual student to create, and when arranged collectively the units should read as a whole installation. 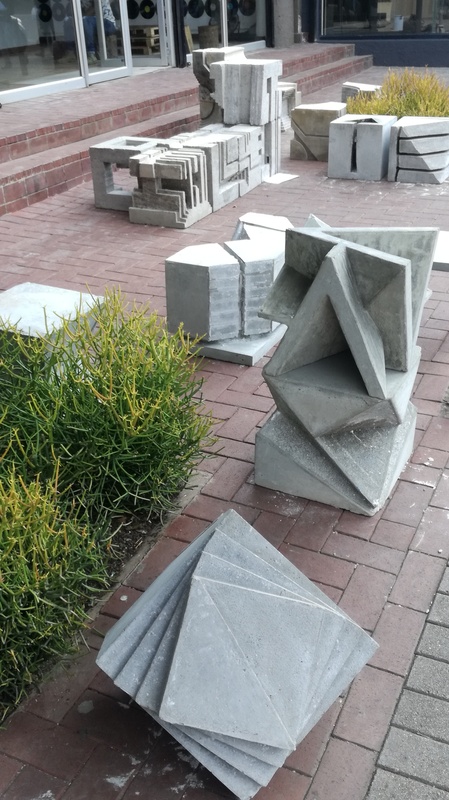 The first installation was done in 2017 at TUT’s department of architecture’s courtyard on the main campus. 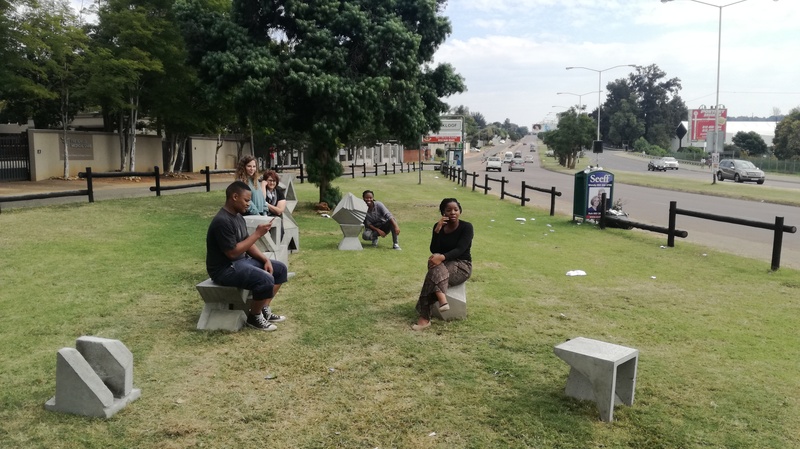 The 2018 exhibition pieces were first placed on WF Nkomo street across the road from the Reserve Bank at the 012Central entrance to coincide with AZA, the national architecture congress, hosted jointly this year by University of Pretoria and TUT. 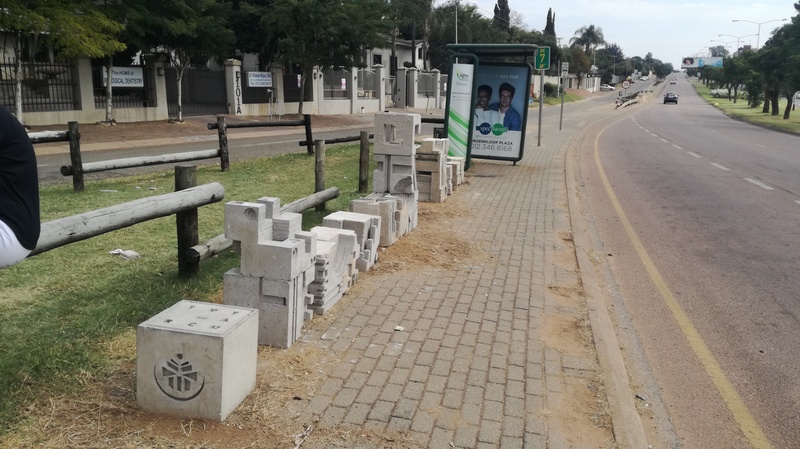 After the congress, the installation was moved to its permanent place of exhibition at a bus stop and green space on George Storrar drive in Groenkloof, Pretoria. 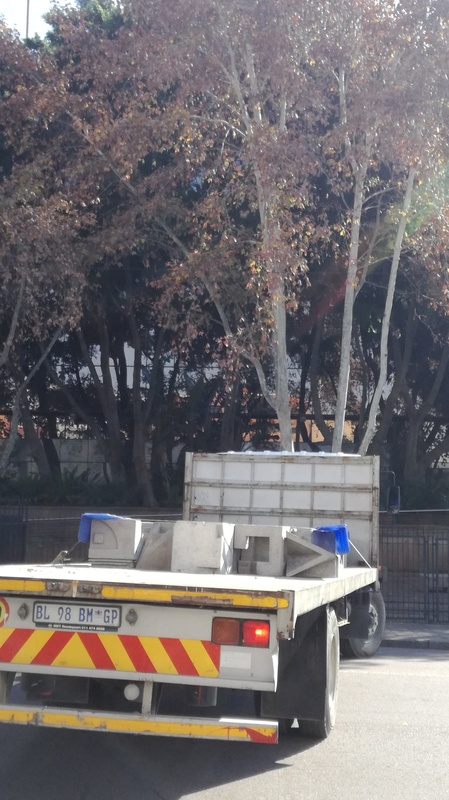 Unfortunately, they were only there for five days before the whole installation was stolen. The sheer weight and size suggest that it was an organized crime done by a group of people having access to a flatbed truck. If anybody has any information leading to the arrest of the perpetrators, there will be a reward. 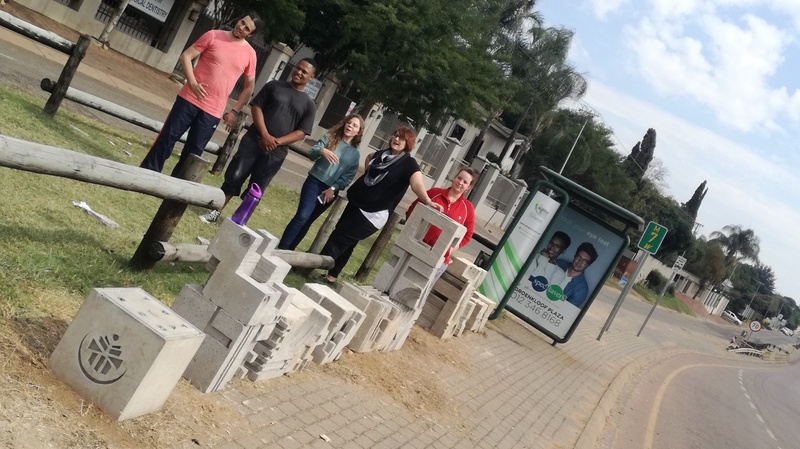 The project was supervised by TUT design lecturers Pieter Greyvensteyn, Navarre Eberson, Laura-Anne Anderson and Dr. Emmanuel Nkambule. 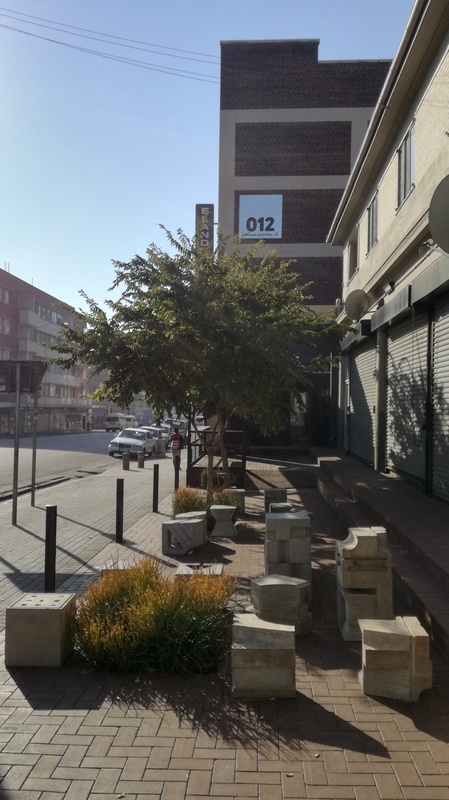 The project happened with the co-operation of the Cool Capital team, Wilkinson Architects, Newtown Landscape Architects, Shaun Wilkinson (the ward counsellor of Muckleneuk & Sunnyside) and City Property.